This Carrier compressor is a robust three-phase semi-hermetic compressor capable of handling any task with ease. The semi-hermetic case is perfect for heavy-duty applications, allowing the compressor to be easily maintained and serviced generally while keeping the compressor in service. These compressors are built to last up to ten years, or more, saving you money in the long run. This particular compressor weighs in at 567 pounds, but is relatively small in footprint, at just under 34" in length. It uses R-22 refrigerant, which is still available and in use throughout the industry. It has four voltage configurations including 208, 230, 400 and 460 VAC. Your compressor can be set up with multiple wiring configurations to meet your needs. The 30HP 6-cylinder motor is quiet and powerful, driving the compressor with incredible efficiency and effectiveness. The Carrier brand name is synonymous with quality and dependability in the field. Carrier has long been one of the largest competitors in the compressor market, and this particular compressor is built to outlast the competition by a long shot. Carrier's quality control and testing measures have proven successful at setting them apart from other manufacturers. In addition, Carrier offers a valuable warranty program that protects consumers and businesses against compressor failure. If you are in the market for a Carrier 06ET275360 compressor, we highly recommend purchasing a remanufactured model from a trusted facility. These compressors have been in production for a very long time, and they remain popular because they get the job done. When it comes to choosing the right compressor for you, it is important to purchase one that has been completely remanufactured using Carrier's original equipment specifications. When we remanufacture a compressor, we always replace all wearable parts to ensure that the compressor performs as if it were brand new from the original Carrier plant. By contrast, rebuilt compressors typically only replace enough parts to make the compressor meet minimum performance standards, and often times they are rebuilt with other used parts to create a compressor that has parts wearing down at different rates. 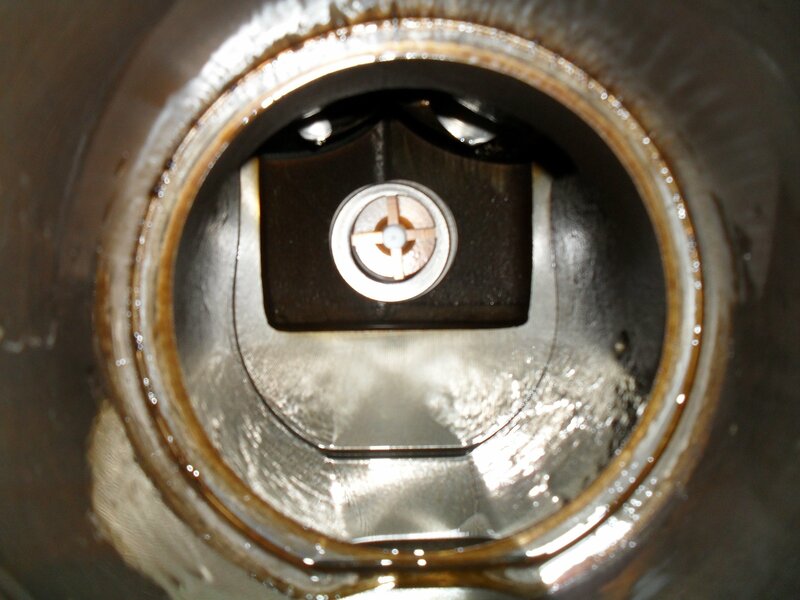 This can be problematic for creating a healthy maintenance schedule for your compressor and could leave you with a compressor that falls out of spec sooner rather than later. By choosing a remanufactured compressor, you know that you are getting a like-new product that performs exactly as it was originally designed and advertised. 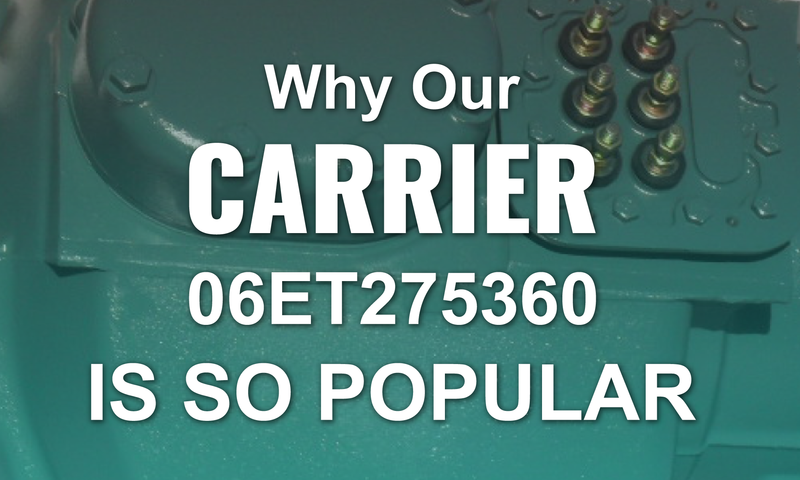 For many commercial HVAC applications, the Carrier 06ET275360 may be an excellent choice. It will deliver all the power and punch you need without missing a beat. It's semi-hermetic casing makes for easy maintenance and repairs, while saving you money at every turn. This is one of Carrier's most popular compressors, and it is comparable to other compressors in its class, so you can make an easy swap if you are tired of your old compressor breaking down. In addition, you can rest assured that the parts and performance are built to Carrier's exacting standards and backed up by our customer service model which always puts you first. With a remanufactured compressor you can save money up front and take advantage of savings every month on operating costs.